A complete summary of 999's characters. Word of warning: I'm not holding back on the spoilers, so read this article at your own risk. The mastermind of the Nonary Game, who had drugged and kidnapped all of the nine contestants and brought them to the Gigantic. Their motive in doing so is initially unknown. 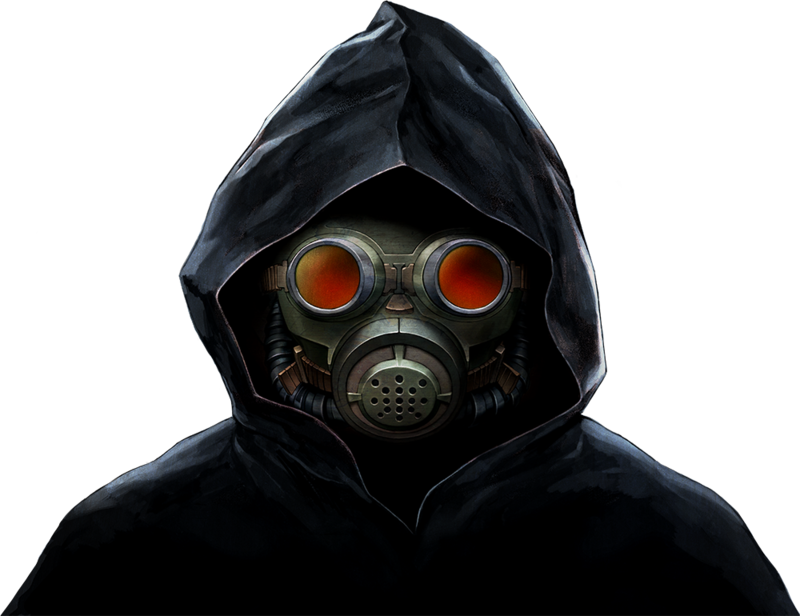 Their identity remains a secret for much of the game, as they are completely covered by a black hoodie and gas mask and use a distorter to make their voice unrecognizable. Spoilers: Zero is secretly Akane Kurashiki, and her motive was to get revenge against those at Cradle Pharmaceutical who financed and oversaw the original Nonary Game. Her brother Aoi served as her mole in the Nonary Game, discreetly manipulating events so that all would go according to their plan. Not much is known about Ace for much of the game, though he appears to be an amicable and cool-headed person, insisting that the other players not let Zero get the better of them. He is even willing to "sacrifice" himself to allow the others to escape. It is only in the third set of doors that Junpei gets a chance to interact with him more closely, where it is revealed that he suffers from prosopagnosia (an inability to distinguish faces). Spoilers: Ace's true identity is Gentarou Hongou, the CEO of Cradle Pharmaceuticals. He was one of the four masterminds behind the first Nonary Game, the results of which he hoped to use as a means to overcome his prosopagnosia. However, the experiment was sabotaged by Seven's interference, leading to him condeming a young Akane Kurashiki to her death in the incinerator. He is abducted by Zero and given a choice: He can either confess his crimes before a worldwide audience, or win the Nonary game and go free. He chooses the latter, and is responsible for the deaths of the Ninth Man, "Cap" and who he believes to be Snake in an attempt to escape his past. 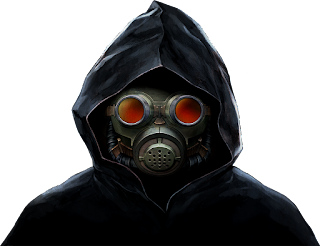 It is only at the end of the second Nonary Game that he realizes Zero had manipulated his killings from the start, and he resigns himself to defeat. Clover's older brother, who was left blind after a car accident in his youth. 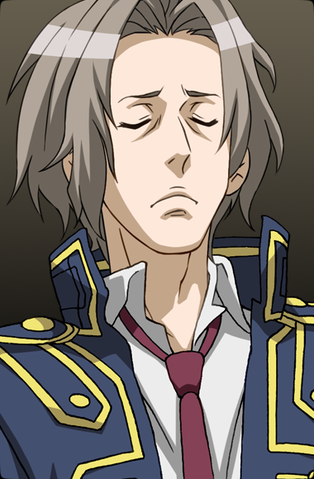 He is quite capable despite this, however, and shows himself to have a sharp mind and a peculiar sense of humor. As he is at a disadvantage in the Nonary Game, Zero sees fit to explain to him how the RED and DEAD devices work on a braille card. Spoilers: Snake took part in the original Nonary game and witnessed Akane's "death". He is also shown to have a prosthetic left arm, which proves to be a vital clue later on, proving that the dead man behind Door 3 is not actually him; rather, he was discreetly removed from the game by "Zero" and sealed in a coffin on the lowest deck to keep him out of harm's way. He is discovered later by Junpei, Clover and Seven and joins with them, revealing that Zero had instructed him to keep quiet about his involvement in the original Nonary Game. He later makes his escape with the rest of the group. Santa doesn't reveal much about himself for much of the game, though he is shown to have an aversion to the ideas of "luck", "hope", "love" and "faith". He also states that he had a younger sister who died nine years ago. 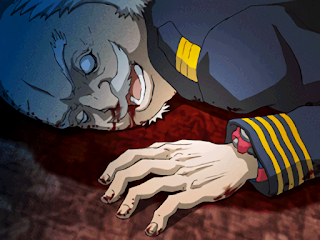 Spoilers: Santa was one of the players in the original Nonary Game nine years prior, and witnessed his sister's "death" at Hongou's hands. He serves as Zero's mole in the second Nonary Game, manipulating events to make Hongou murder his three former allies and putting Junpei in a life-or-death situation so that he will be able to access the morphogenetic field and save Akane in the past. His bracelet actually works as the number "0" despite displaying a 3, and he always enters the same door as Akane (whose bracelet works as "9") to cover for this fact. At the end of the game, he and Akane make their getaway in an SUV ahead of the other players. Younger sister of Snake, who has a relatively upbeat personality despite the situation. However, she quickly becomes downtrodden when Snake goes missing, fearing for his safety, and shuts down almost completely when he is shown to have been killed. Spoilers: Clover was one of the players in the original Nonary Game nine years prior, alongside her brother. She begins to lose her grip after Snake's apparent death, though Junpei convinces her to have faith and, through a momentary lapse, later unintentionally reveals to her that Snake is still alive. She is the one who takes the "0" bracelet from "Cap", as well as finding a clue which proves to be important to discovering Zero's motives and unlocking Snake's coffin. She makes her escape with the rest of the group at the end of the second Nonary Game. The game's protagonist, who is kidnapped by Zero for unknown reasons and forced to participate in the Nonary Game. He is shown to have a sharp mind and a protective personality, though somewhat poor judgement at times. The only person he recognizes in the game is Akane Kurashiki, a childhood friend. 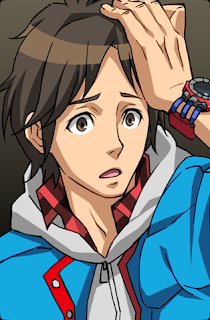 Spoilers: It is because of Junpei's past with Akane, as well as his lack of history with the Nonary Game, that he is abducted by "Zero" - having no history with the other players, he would not be a target of Ace, nor would he suspect Akane to be the mastermind behind the game's events. 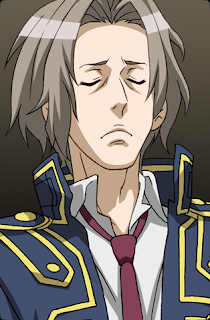 He is the one who convinces Clover to have faith and later (unwittingly) reveals to her that Snake is still alive. He learns of the events of the previous Nonary game through the other participants, and at the end discovers his ability to access the Morphogenetic Field, which allows him to save Akane in the past and the current group in the present. 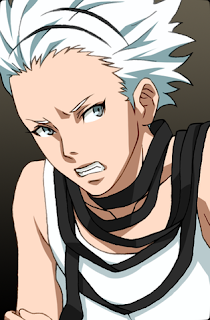 He is last seen with Snake, Clover, Seven, Lotus and a captive Ace in pursuit of Santa and Akane. 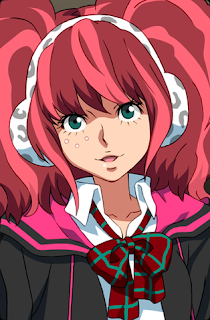 A childhood friend of Junpei, who is also forced to participate in the Nonary Game for unknown reasons. She is shown to still have feelings for him, and is reluctant to be separated from him at the doors. She has a caring personality, as she is deeply shaken at the violent acts that take part during the game. Spoilers: Akane is secretly the mastermind behind all of the game's events, manipulating Hongou into killing his former accomplices as an act of revenge for the original Nonary Game. Her demure personality is largely a ruse to further this end, though she does seem to harbor genuine feelings for Junpei. Akane is said by Snake, Santa and Seven to have died in the first Nonary Game, leaving the present Akane's identity in doubt. 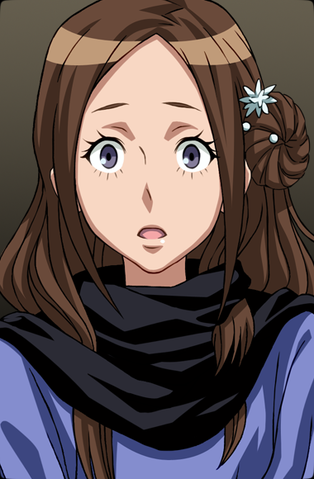 However, it is shown that she had put Junpei in the second Nonary Game so that her past self would be able to contact him through time, ensuring that she could complete the puzzle and survive to the present day (whether Snake and Seven were genuinely convinced of her death or are also accomplices in her plan is unclear). Her bracelet displays a "6", though it actually functions as a 9. She and Santa always enter the same doors to hide this fact from the others (his bracelet functions as a "0"). 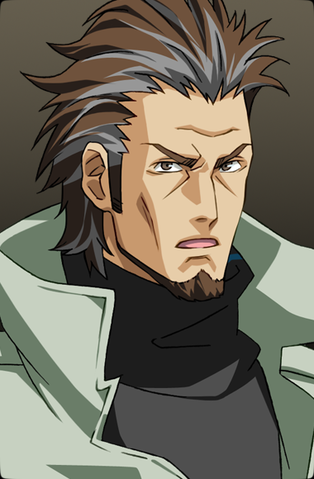 An intimidating giant of a man, though he proves to be a rational and level-headed thinker in almost any situation, and keeps his cool despite suffering from amnesia for much of the game. Spoilers: Seven's amnesia is the result of being drugged with Soporil, which has a side effect of causing temporary memory loss. He later remembers that he was a detective investigating Cradle Pharmaceuticals and the disappearances of sixteen children, and was captured by their agents and put in a cell aboard the Gigantic during the first Game. 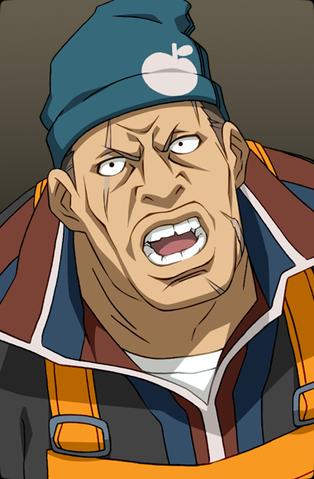 He escapes and manages to free a group of children from the incinerator, though he is unable to save Akane, witnessing her "death" in the incinerator at Hongou's hands. He is the only character whose real name is never revealed (either in-game or through official sources). Whether he actually suffers from amnesia is also debatable; he very well could have lied to protect himself from Hongou, and to convince Junpei that the Nonary Game's dangers were real. 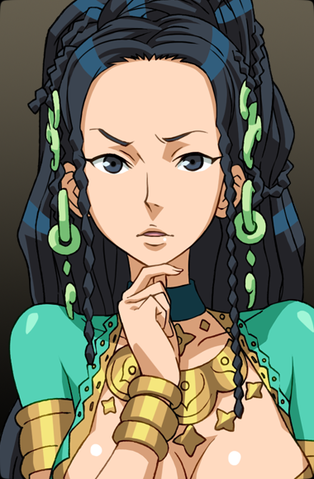 A computer programmer turned dancer, who speaks at length to Junpei about her past and her reasons for becoming interested in the Nonary Game, as well as offering some insight and theories to the workings of extrasensory perception. Spoilers: Lotus's two children were kidnapped and forced to take part in the original Nonary Game, and were left traumatized by the event (though they eventually recovered). Lotus was unwilling to ask them about it for fear of triggering a relapse, so she launched an independent investigation into the Game, ultimately turning up nothing. She eventually makes her escape with the rest of the group. 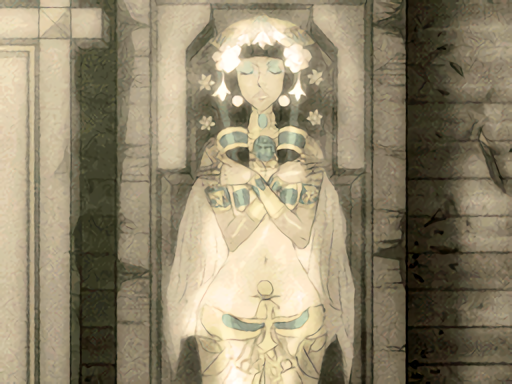 Lotus's children are named Nona and Ennea. Both names mean "born ninth". Not much is revealed about the 9th man before his demise, though he shows a nervous and quiet personality. After holding Clover hostage with a concealed knife he goes through Door 5, quickly revealing that he was tricked into doing so believing it was an easy escape. He repeatedly shouts back to the group that "he killed me" before his gruesome demise. Spoilers: The ninth man's true identity is Teruaki Kubota, R&D supervisor at Cradle Pharmaceuticals and one of the four men responsible for the original Nonary Game. He was placed in the game by "Zero", knowing that Ace would trick him in order to keep his identity and motives a secret, and to acquire his Number 9 bracelet. Dashiell Gordain - An unseen character. A multi-millionare who survived the Titanic disaster and is said to have been an avid collector of Titanic memorabilia. He is the one who purchased the Gigantic and "All-Ice", which later came into the possession of Cradle Pharmaceuticals. 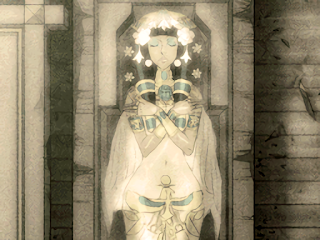 "Alice" / "All-ice" - The subject of an urban legend alluded to throughout the game, "All-Ice" Alice is said to be an Egyptian priestess whose body was perfectly preserved, apparently due to the effects of a water polymorph known as "Ice-9". She is said to have been aboard the Titanic when it sunk, and her coffin was later recovered from the wreck, purchased by Dashiell Gordain and placed aboard the Gigantic. But does "Alice" really exist, or is she just an urban legend? 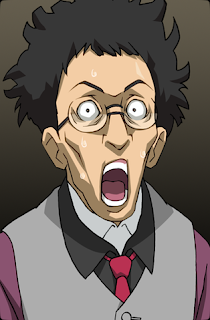 Spoilers: When Junpei opens the coffin labeled "All-Ice" in the final puzzle room, there is no body to be found. Ace later claims that "Alice" was never in the coffin, though he did find a mandrake root inside. Extracting and purifying an alkaloid from this root resulted in the potent sedative known as Soporil, which made Cradle into a hugely successful company in a short time. A dead man found dead in the captain's quarters of the ship. His attire and the "0" bracelet he wears would seem to indicate that he is Zero, though Junpei is unconvinced that he is. Spoilers: Kagechika Musashidou was Cradle Pharmaceuticals' primary stockholder and one of the four people who orchestrated the original Nonary Game as a mind control experiment. He was planted in the captain's quarters by Zero to serve as a "witness" should Ace wish to confess his crimes to the world; Ace instead kills him in an attempt to keep his identity and his criminal activities a secret. His bracelet is not actually the number "0", but a letter "O" (which corresponds to a value of 24, or a digital root of 6). Said to be the fourth conspirator responsible for the original Nonary game. Spoilers: He is later revealed to be man whom Ace kills whilst believing him to be Snake, having been set up for it by Zero.